Over the last 10 years, revenue models have changed in the hospitality industry. Room phones and TV’s no longer drive the in room revenues they once did. West Pond’s AV Management solutions reduces costs while supporting new revenue channels. Consumer mobile phones, devices and apps are ubiquitous. Unfortunately for the hospitality industry it has reduced its revenues from in-room telephone calls and pay-per-view TV. The hospitality industry is facing pressure to cut cost and expenses while investing in other revenue producing services. West Pond’s FlexStream MX product line provides both the opportunity to cut costs while also increasing hospitality AV revenue. Whether you are a property owner looking to reduce subscription TV fees, a local publisher looking to drive business through local attractions, hotel TV channels, or a property manager with new services and amenities to advertise with digital signage and in-house cable TV systems, West Pond has a hospitality solution for you. 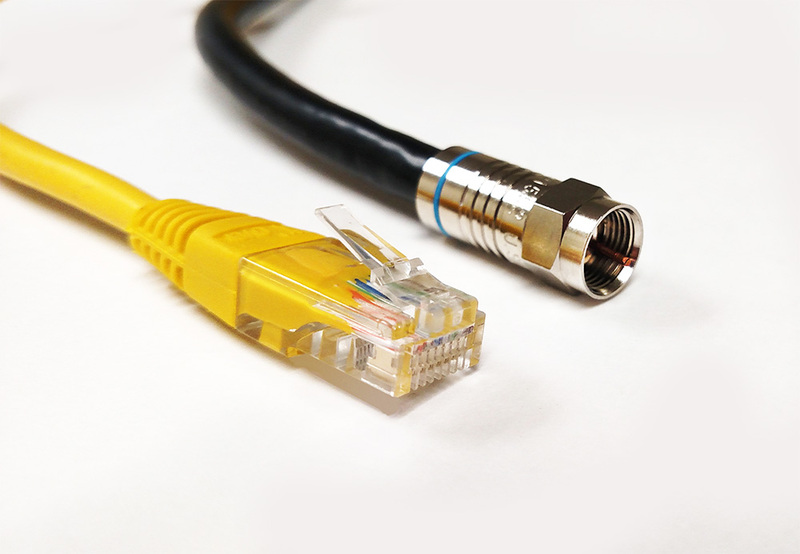 Use integrated over-the-air ATSC tuners and video capture ports to create a subscription free in-house cable TV network. Add channels from pre-recorded media to create amenities channels and promotional channels for local attractions. Use hotel cameras to show activities in hotel lobbies and other common waiting areas. Generate revenues through channel wrapped with advertisements, event announcements, specials, and other guest information for display in common areas, bars, and breakfast rooms. If IPTV in your future, our products are also IPTV compatible. Any video you can record or capture to a file can be played back as a channel. West Pond has made it easy to create your own TV channel from a collection of recorded files. Collect files from DVDs, mobile phones, video editing tools, power point, or any video capture device. 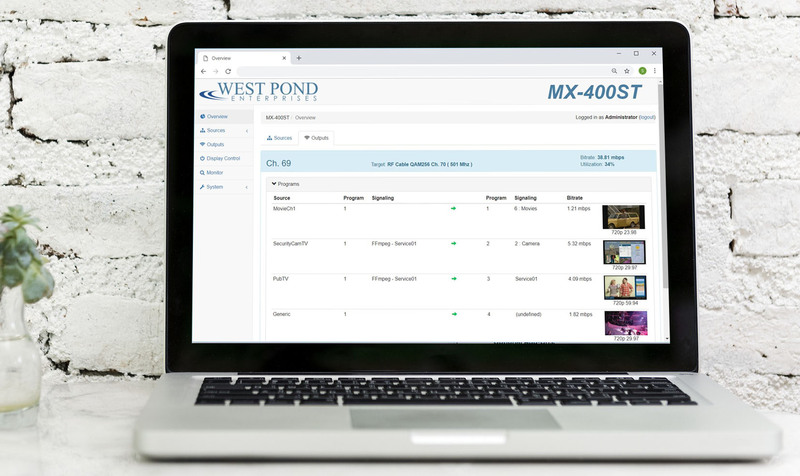 Use the West Pond FlexDM transcoding service to convert the files to a TV compatible format and manage the new channel using FlexDM’s remote access capabilities. This suite of products is perfect for publishing brand promotional media or chamber of commerce videos as TV channels. If you have multiple properties, FlexDM will manage the new TV channels on all properties as a single group. Create terrestrial TV channels as a backup for satellite rain fade, or as your primary source of local TV with the MX-400HY’s built in quad ATSC tuner. Use this feature to add dozens of channels to you in-house cable TV lineup. Use all of the broadcast channels, or cherry pick to remove infomercial channels or others with content not appropriate for your audience. Use the video wrapper to add web page graphics and media to any channel. The video wrapper will scale the video and wrap the remaining screen area with one of our templates to create a signage channel with information your guest will appreciate. 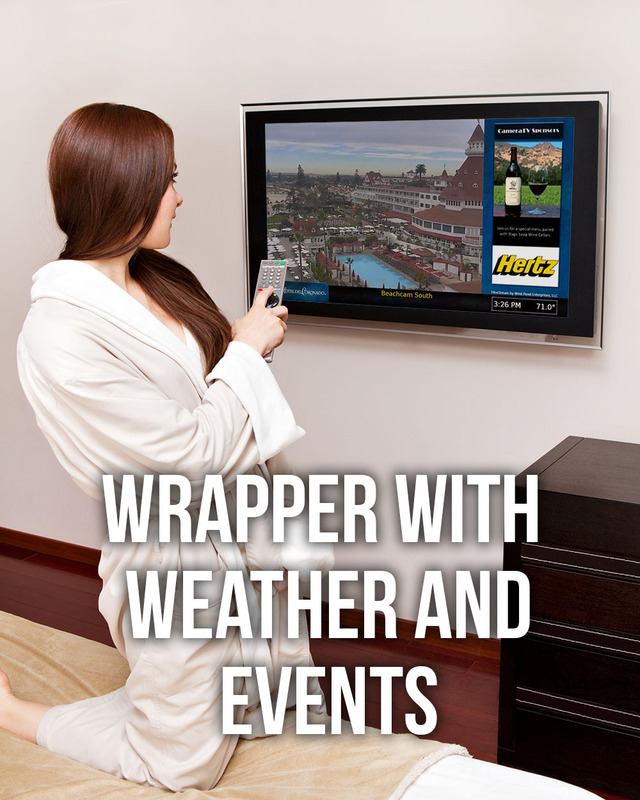 Display weather, airport information, specials, amenities, hotel events and announcements with live TV. Use one of our prebuilt templates, or work with West Pond’s creative services design team to make the perfect TV media channel. Feed select content onto your house cable TV network using the HDMI, component, or composite video capture port on the MX-400HY or MX-100CC. Note: Composite, Component, and HDMI (without HDCP) connection required. WiFi and LAN cameras are inexpensive devices that can be mounted indoors or outdoors and accessed by any connected device. That includes the MX-400HY or MX-100CC. Place IP cameras where they show the lobby, ski lift lines, pool crowds, weather, beach, and nature vistas then map them to a TV channel using one of the FlexStream MX products so all can see. These features allow you to show customized content, signage or programs on your in room TV’s or other digital signage. Video wrappers are the most common display method and show up surrounding the video stream itself. You can display graphics, photos, text, fonts, other videos, weather, scoreboard, and more. Use the video wrapper to add web page graphics and media to your new channel. Scale the video of your choice and wrap the remaining screen area with one of our templates to show time, temperature, trivia, logos, local businesses, and more. Customize the templates to meet your needs, or work with West Pond’s creative services to make the perfect TV media channel. Create TV channels for broadcast over in-house cable TV networks using the MX-400HY’s integrate DTV modulator. Tune common area and concession area TVs to dedicated signage channels to create digital signage without any additional hardware. How do you turn on 20 TVs for an event at exactly the right time? Use the MX-400 display controls with the RX-50 display controller. Each RX-50 device sits behind each TV and awaits your command. Use the MX-400HY web UI to control one, many, or all the TV in groups. Power the TV on, set the channel, and when the event is over, power the TVs off. No need to search for those remotes. The FlexStream MX-400 IPTV outputs are Com1000/Com2000 compatible. Use the FlexStream MX-400 IPTV output feature to feed a Technicolor Com1000 or Com2000 Pro:Idiom HD headend with ancillary channels or simultaneously transmit IPTV with RF. If you are using the RF output today, but find later you have new buildings that are wired for IPTV, the FlexStream MX-400 can support both simultaneously. Installation and remote management are a breeze when you have access to this tool. Use this tool to monitor the in-house RF to find the best place for your new channels, then watch the channels remotely on a mobile phone or other connected device to ensure everything is running perfectly. FlexDM transcoding service simply and easily converts any video file into one suitable for a TV channel. FlexDM remote management gives you access to the FlexStream MX-400HY smart headend system from anywhere and from any internet connected device. Just login to FlexDM.net and select your device. Check the status or remotely access for full control. With FlexDM, anything that can be done locally can be done remotely.